« The legitimacy of violence as a political act? Homer’s Iliad (a ‘poem about Ilion, or Troy’) and Odyssey (a ‘poem about Odysseus’) are the earliest surviving literary texts composed in Greek. For most other Greek literature, we have a more or less secure understanding of who the author was, but ‘Homer’ is still a mystery to us, as he was to most ancient Greeks: there is still no agreement whether his poems are the works of a single author or a collective tradition. The poems are rooted in ancient stories transmitted orally, but the decisive moment in stabilising them in their current form was the period from the 8th to the 7th centuries BCE. 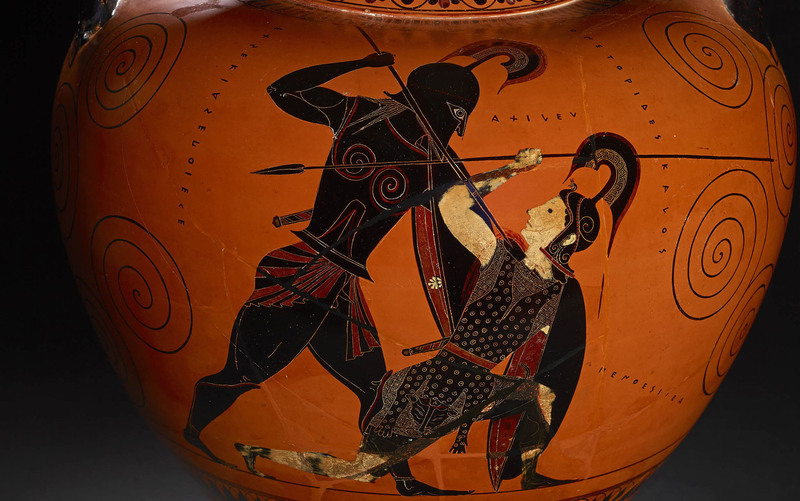 The siege of Troy, the central event in the mythical cycle to which the Homeric poems belong, might or might not be based on a real event that took place in the earlier Bronze Age, in the 13th or 12th century BCE. Historically speaking, the poems are an amalgam of different temporal layers: some elements are drawn from the contemporary world of the 8th century BCE, some are genuine memories of Bronze Age times, and some (like Achilles’ phrase ‘immortal glory’) are rooted in seriously ancient Indo-European poetics. There is a healthy dollop of fantasy too, as all Greeks recognised: no one ever believed, for example, that Achilles’ horses really could talk. This entry was posted on Friday, June 8th, 2018 at 00:02	and is filed under Uncategorized. You can follow any responses to this entry through the RSS 2.0 feed. Both comments and pings are currently closed.